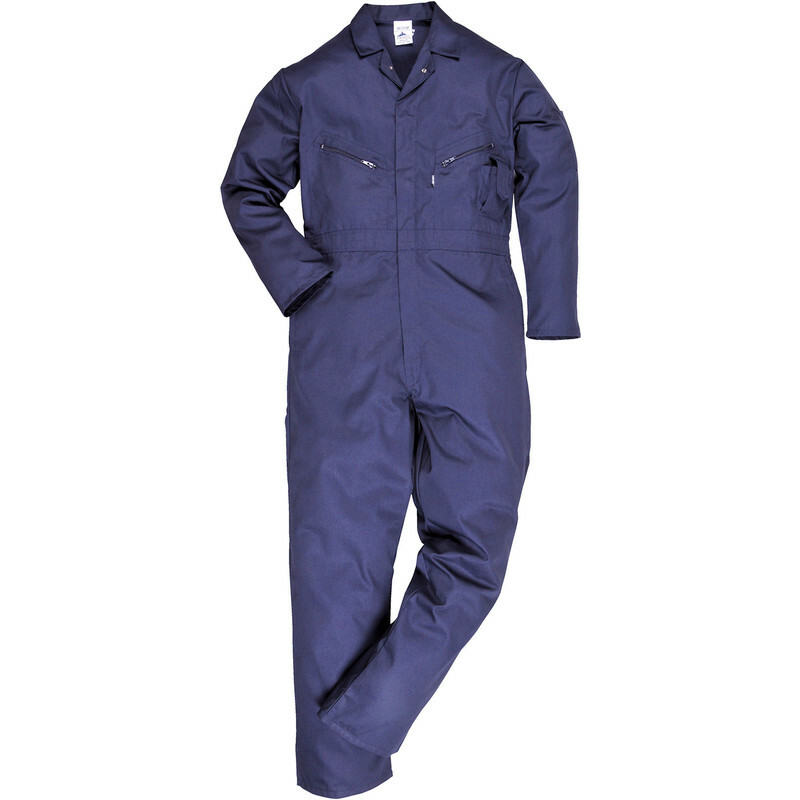 Zip Front Coverall Medium is rated 4.5 out of 5 by 38. Rated 5 out of 5 by Andy231uk from Excellent Quality Excellent product and perfect fit. Great having both pop and zip closure. Also zipped pockets. Material quality is also good. Not worth buying anything cheaper like I had before. You get what you pay for. Excellent value. Rated 4 out of 5 by Quantumturbo from Well made It's a good product. Quite well thought out. Good number of pockets some zipped. Double zip at front is a good idea. Good fit for me bought medium though I'd say I'm a small medium. Wish it had pockets for knee pads. Rated 4 out of 5 by Malone from Good and neat but a little short in the body Seem to be of good quality but they seem to be quite short in the body. I am only just large enough in the chest to warrant a large and have longer legs and shorter body than average. This only just fits my body and has legs a bit too long for me - but still ok. Rated 5 out of 5 by 27 Rog27 from Good quality Good quality and fast delivery. Rated 5 out of 5 by Martinc3 from Just the job These are well designed with loads of pockets and good quality material too. They've stood up to loads of washing without problem. Good value. Rated 5 out of 5 by Phi1B from So impressed I bought two! 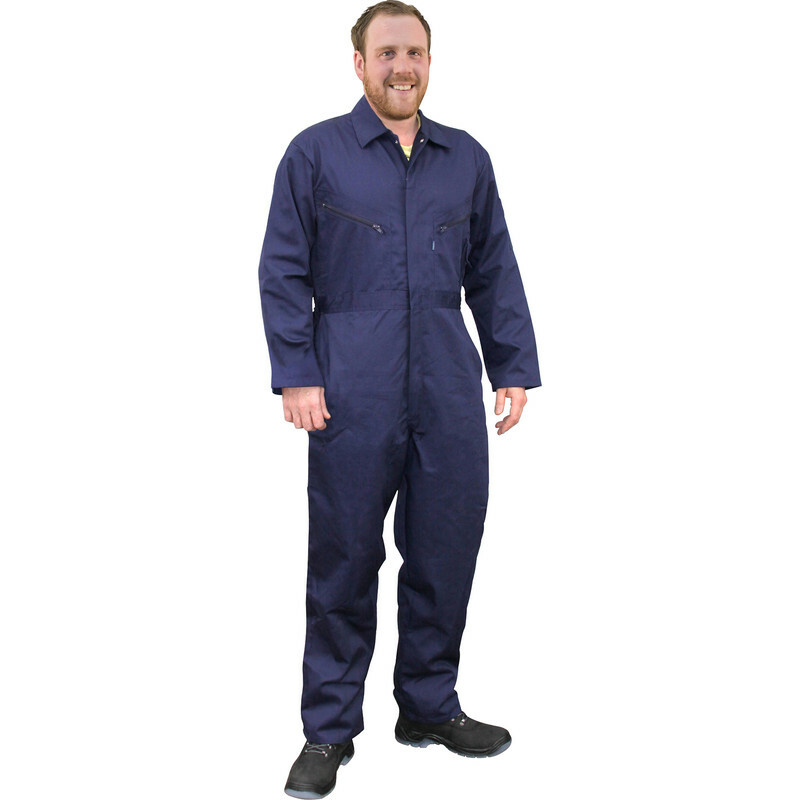 I already had one of these coveralls, but having got dirt and oil all over the one I had; and being so impressed with the fit, feel and the protection I got out of it, I decided to get another one. One in the wash, one to wear! I now know they wash well too! The label said it can be washed at 60C and that's what it got. There was no shrinkage that I can tell of and I didn't see any sign of dye in the wash water, just muck. I'm very happy with this purchase.